Category: Books, Ancient Wisdom, Card Decks and Divination, Self Help & Personal Development Tags: Body, Mind, Mythology, oracle cards, oracle deck, Spirit, spirituality. Inspirational Cards for Wisdom and Guidance. They have been here long before we arrived on this planet, and will be here long after we are gone. The power and wisdom of trees have been noted by many cultures throughout history, from the image of the World Tree to the symbolism of the Tree of Life. Even today, trees are regularly used as focal points of worship all over the world. 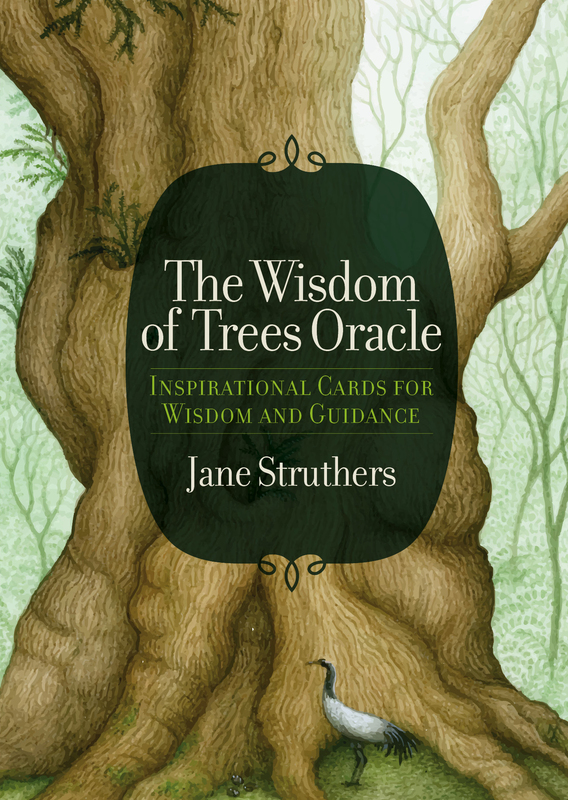 Inspired by the serene and majestic beauty of nature and rich with insights from spiritual traditions from around the globe, this superbly illustrated deck and accompanying guide will help you gain new and profound levels of awareness about yourself, your relationships and where you are headed, from the wisdom of trees. Describing the mythology, symbolism and power of 40 of the world’s trees, from the homely apple to the magnificent giant redwood, The Wisdom of Trees Oracle also introduces you to the deva, or nature spirit, that works in conjunction with each tree to give you its true message. Jane Struthers is a full-time professional astrologer and writer who has studied tarot, astrology and palmistry for over 25 years. She teaches astrology at the London School of Astrology, and has also lectured abroad on astrology and tarot. Jane is currently the astrologer for Bella, the bestselling weekly women’s magazine, and before that she was the astrologer for the Sun, writing as Gemini Jane. She has talked about astrology and the tarot on radio and television and is the author of 30 non-fiction books, including The Book of Destinies and Tarot For Life and Love, both published by Kyle Cathie. The Palmistry Bible and The Psychic’s Bible are both huge bestsellers, making Jane one of the most successful Mind Body Spirit authors in the UK.